If you are a proud owner of an iconic Harley Davidson and secretly fancy yourself as a member of the fearsome ‘Hells Angels’ clan or then are just a fan of the powerful motorbike, you might want to wing your way to Kuala Lumpur in September for the celebration of all things Harley Davidson, at the Asia Harley Days event. Set to be held over six days, from Saturday, 14 September, through to Saturday, 21 September 2013, the Asia Harley Days festival commemorates the 110th anniversary of this much loved, legendary bike. The event, which is to be an exclusive regional event for South East Asia, forms a part of Harley-Davidson's global tour to celebrate this milestone. 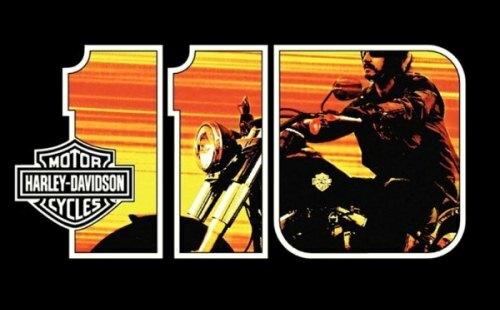 The "110th Anniversary: 110 Years of Freedom” tourney brings together Harley Davidson fans from all walks of life, hailing from many diverse regions around the world like the Tibetan Plateau in China, Sturgis in the USA, Rome in Italy, Faaker See in Austria and more. The Asian episode will feature as the culmination event of a year-long, global celebration being held across 11 countries on six different continents. The Malaysian leg of the tour is being organized by Harley-Davidson, Inc., along with the Ministry of Tourism Malaysia and the Malaysia Convention & Exhibition Bureau (MyCEB). 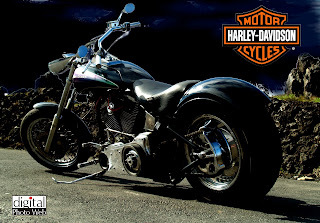 The event is earmarked to be held at the Kuala Lumpur City Centre and is expected to attract H.O.G members (the Harley Owners Group) from Malaysia, Singapore, Thailand, and Indonesia and beyond. The event is free and open to all members of the public. On offer at the event will be festivities like a flag parade, demo rides, exhibitions and displays, various promotions and a riding tour from Kuala Lumpur to Terengganu and Penang. H.O.G. members will enjoy additional privileges like a welcome dinner and special access to activities, promotions and deals for the duration of the event. So if you have a passion for ‘Harleys’ why don’t you pack up your leather riding gear, your helmet and those smooth aviators and come along to Kuala Lumpur for the ride? And once you are done with celebrating the ‘Harley’ you can perhaps partake of the many dining, shopping and entertainment delights that the vibrant Malaysian capital city Kuala Lumpur has to offer.